Valentine’s Day 2018 has arrived and love is in the air. Whether you’re checking the clock every fifteen minutes in anticipation of a romantic dinner for two, or gearing up for a Galentine’s Day binge-watching session with Leslie Knope, we have great news. The perfect Valentine’s Day gift has never been easier to find—or more meaningful to purchase—thanks to Campus Causes, our college fundraising platform (even for our procrastinators out there: hint *eGift cards* hint). 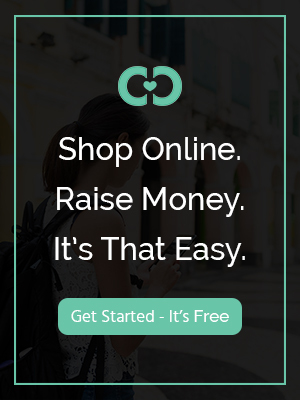 All you have to do is visit Campus Causes, choose a fundraiser that aligns with a cause you want to support and shop-to-raise from the world’s leading brands and retailers. For the special guy in your life, might we recommend a pair of classic Duck Boots from L.L.Bean, an outdoor staple for every wardrobe, or a new MacBook Pro, perfect for creative projects? Or for your leading lady, spoil her with Target’s latest chic interiors or her favorite line of beauty products from Sephora. Penn State THON, the world’s largest student-run philanthropy, has tapped into the power of shop-to-raise fundraising with Campus Causes to augment its current efforts and raise more awareness and funds For The Kids. By shopping through one of the hundreds of campaigns benefiiting THON, you’re also contributing to a mission to end childhood cancer. The women at Rutgers University know that club volleyball is a great way to scratch their competitive itch and forge lifelong friendships outside of the classroom. This year, their goal is make it to the national championship in St. Louis, Missouri. By purchasing your everyday items through their campaign, you can help them get there. The most valuable thing anyone can give to another person is time. The students at the University of Kentucky have a passion for giving theirs to help the kids in their community grow into kind, responsible and ambitious adults. With your help, they can broaden their mentorship program. This spring, StevensTHON will be dancing the night away at their annual dance marathon to bring the community together over a shared passion of providing monetary and emotional support For The Kids at their local Children’s Miracle Network Hospital. It’s ok if you can’t boogie – just shop for the items you’re already planning to buy straight through their campaign. They’ll feel you there in spirit. Recognized as the best and most diverse professional fraternity for men and women, Delta Sigma Pi develops principled business leaders for the future by training members in professional skills, leadership, ethics and service. Your new pair of Nike kicks (or whatever you choose to purchase) will help them host networking events across the country.